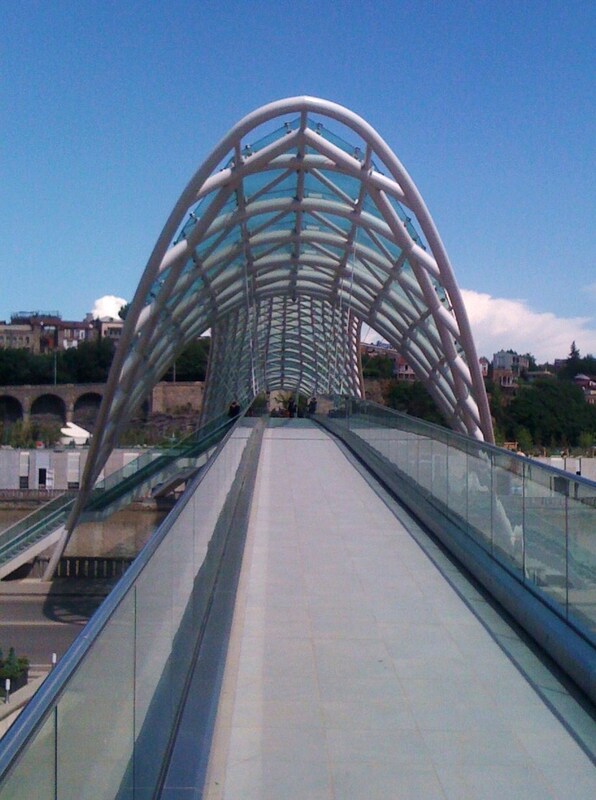 The Bridge of Peace (Georgian: მშვიდობის ხიდი) is a bow-shaped pedestrian bridge over the Mtkvari River in Tbilisi, capital of Georgia. 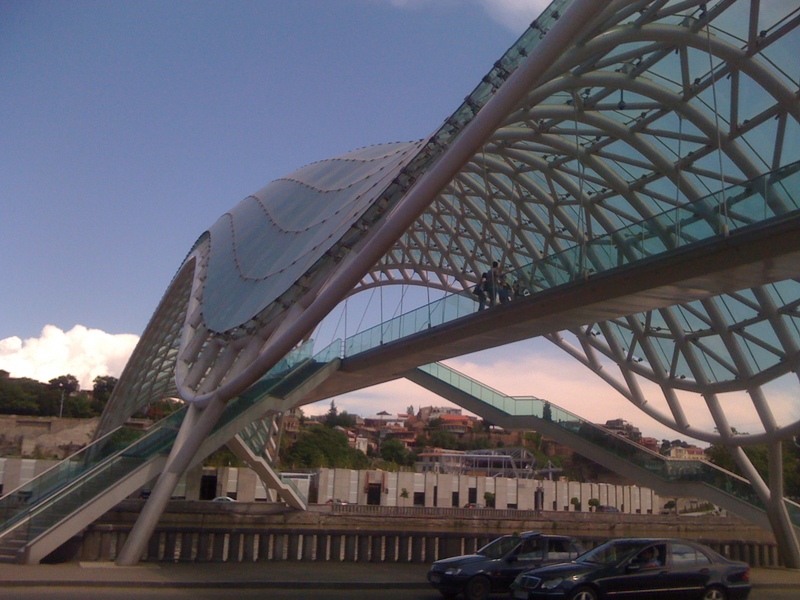 The 150 metre (490 ft) bridge was designed by the Italian architect Michele De Lucchi and was officially opened on May 6, 2010. 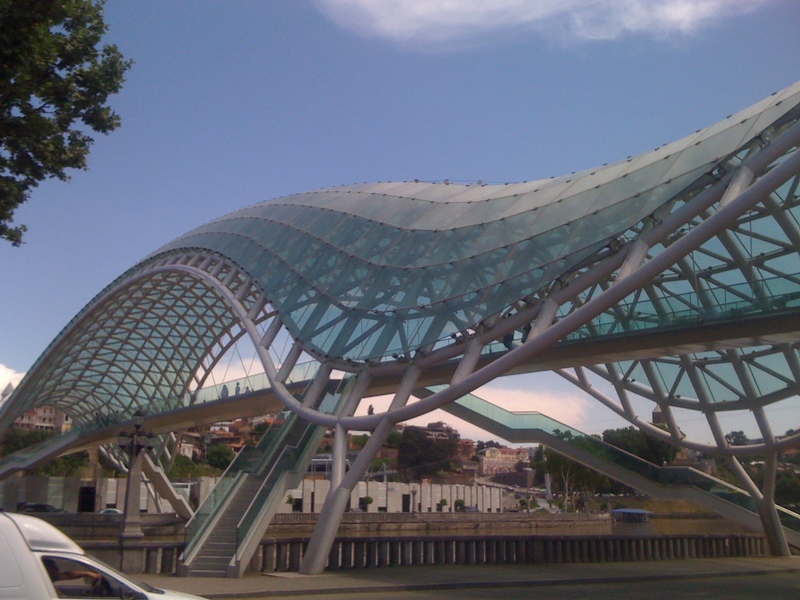 The wavy steel and glass canopy is fitted with thousands of LED lights that are switched on 90 minutes before sunset, illuminating the Mtkvari River and the buildings on both banks. 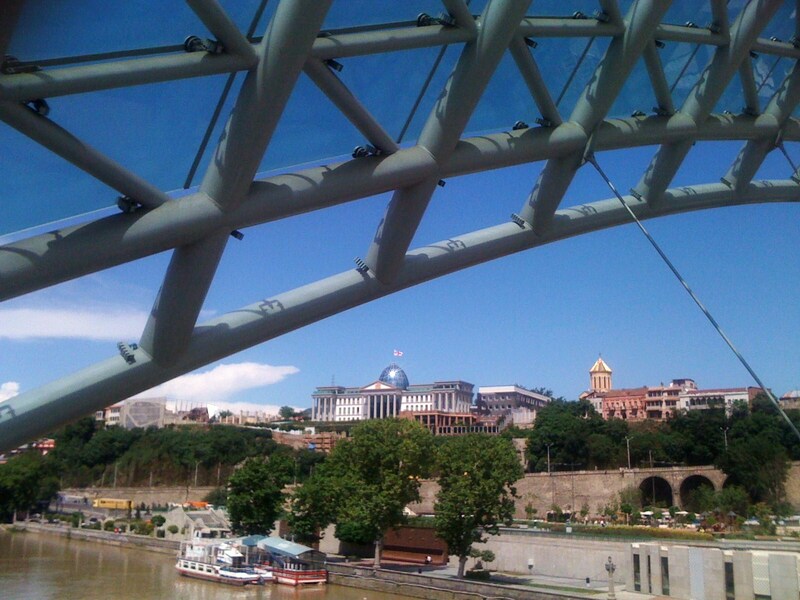 The structure of the bridge was built in Italy and transported to Tbilisi in 200 trucks while the lighting was installed on site. 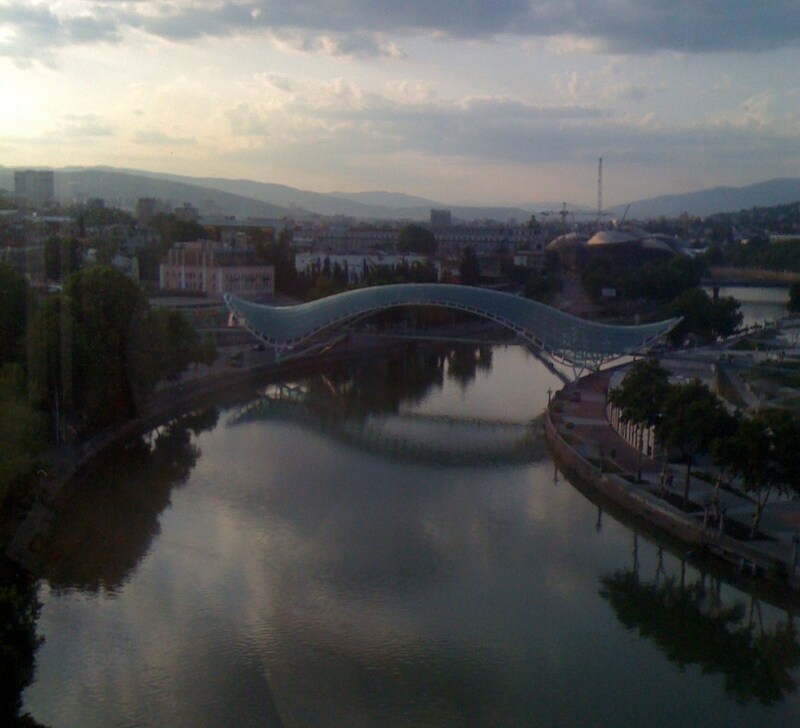 The Bridge of Peace is a stunning design as well as a convenient crossing between the newly constructed Rike Park and the Old Town. It also provides superb views of the city. That is so cool! So much history and yet so much on the cutting edge of modern design and beauty!!! 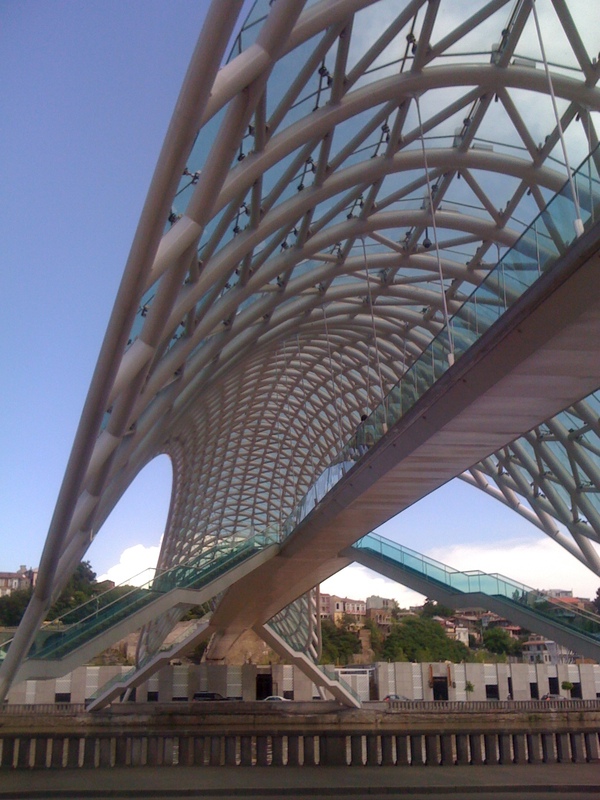 It is an amazing structure and to think it came from Italy in 200 trucks! 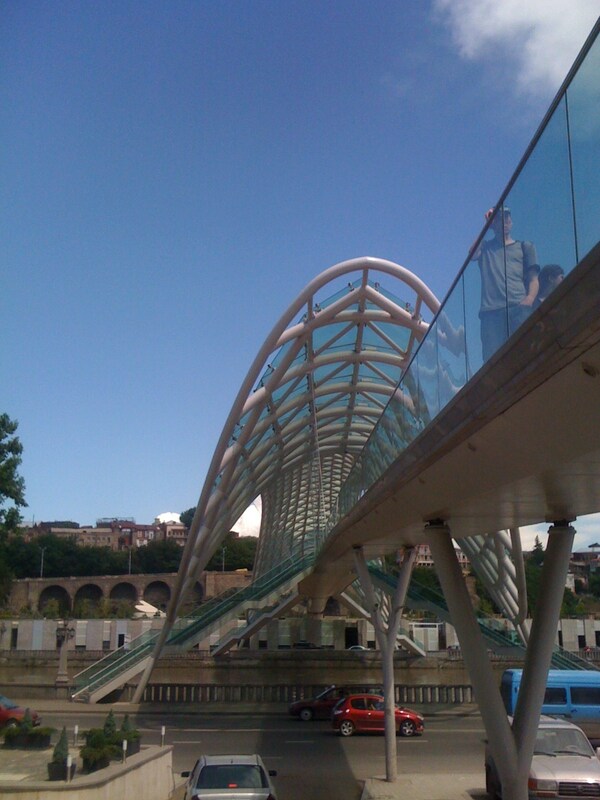 It was a bold move to put such a modern bridge there. The Old Town, with all of its historic buildings is directly opposite it. I feared it might be too modern, given the historic surroundings but it fits well – an amazing blend of past and future. It does look amazing at night Jodi!